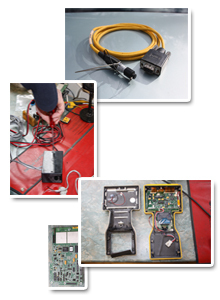 We Service & Repair all makes of GPS Equipment. We also repair loggers, cables, power supplies, chargers & antennas. Our service engineer is Trimble trained on Survey, GIS, Marine and Agriculture Systems. We also carry a full range of Spares & Accessories and have sourced more competitivly priced third party equivalent spares for major manufacturer item such as cables, batteries, chargers etc. For more information contact info@gpsireland.ie or Phone: +353 (0) 21 4832990 (9:00am - 5:30pm, Mon-Fri).